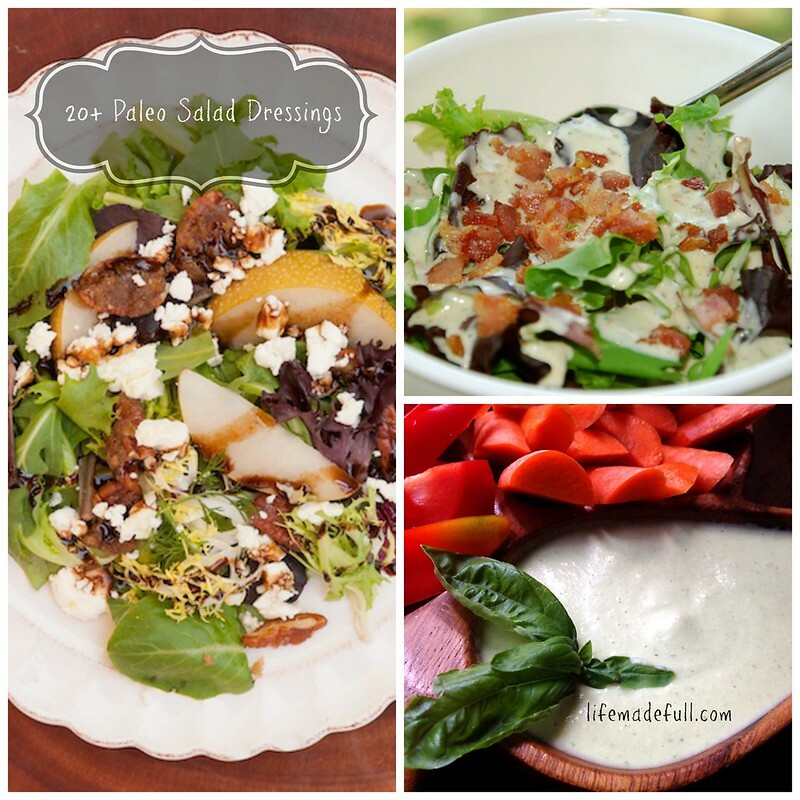 20+ Paleo Salad Dressing Recipes – an extensive list! Oh, salads. I love them! But I get into a rut of making the same dressing every. single. time. So, I thought a round-up of some really great Paleo salad dressing recipes would help keep things fresh! Here is a clean salad dressing matrix that will help you create your own salad dressings simply! Note: An immersion blender will help with a lot of these recipes. Of course, it’s not necessary, but helps speed things up and incorporates the ingredients very well. Great list! Thanks for including mine.